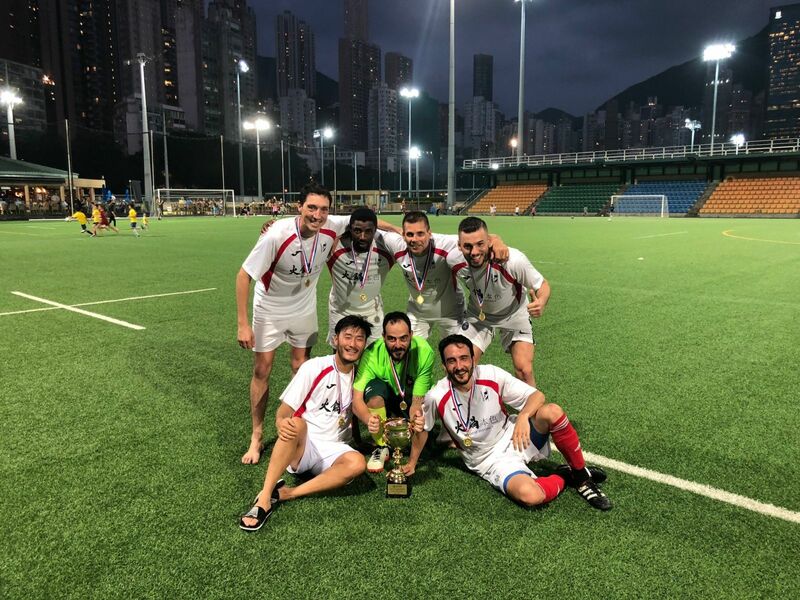 Azzuri Masters took out the Legends League Tournament at the HKFC after hard fought 2-1 win in extra time against Godfathers. 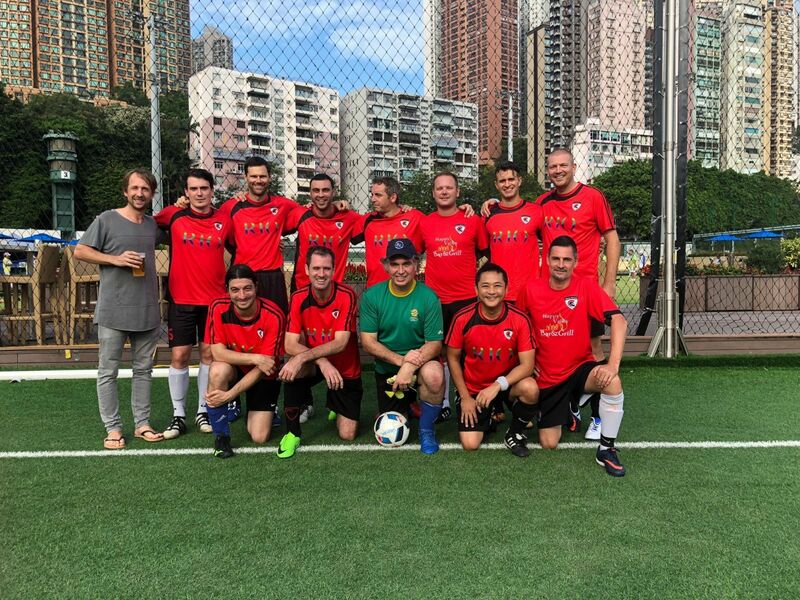 Azzuri Masters comprising mainly of players in the Yau Yee Division One blitz Group D winning all 3 matches scoring 6 goals and keeping a clean sheet. 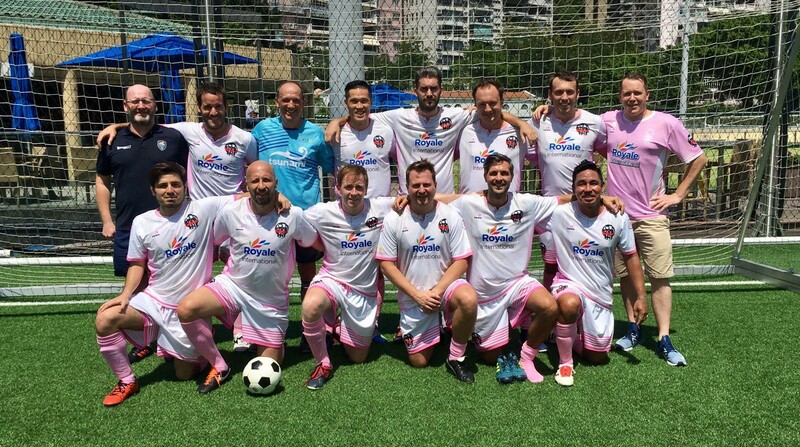 They then dispose FWD Seniors 3 -0 in the Quarter Finals before beating last year’s runners up Spartans Masters in the semi-final 1-0. The final saw Azzuri Masters score first before Godfathers equalised through Peyman. 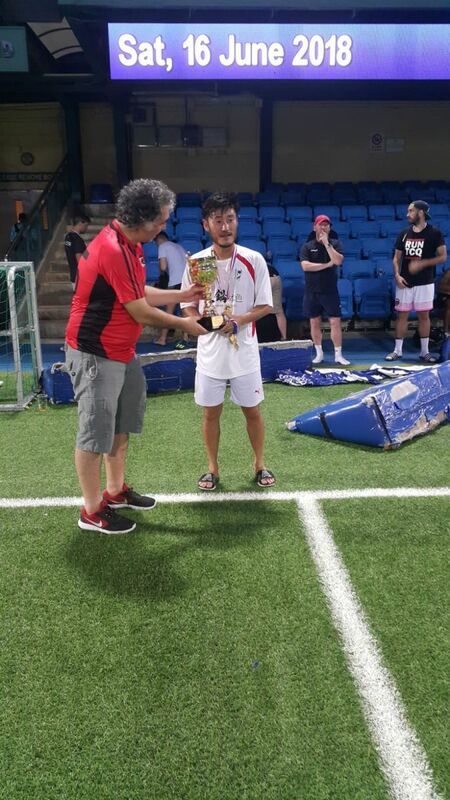 Then extra time took place with Azzuri Masters own manager Jaewoo Seo scoring the winner to take out the title. 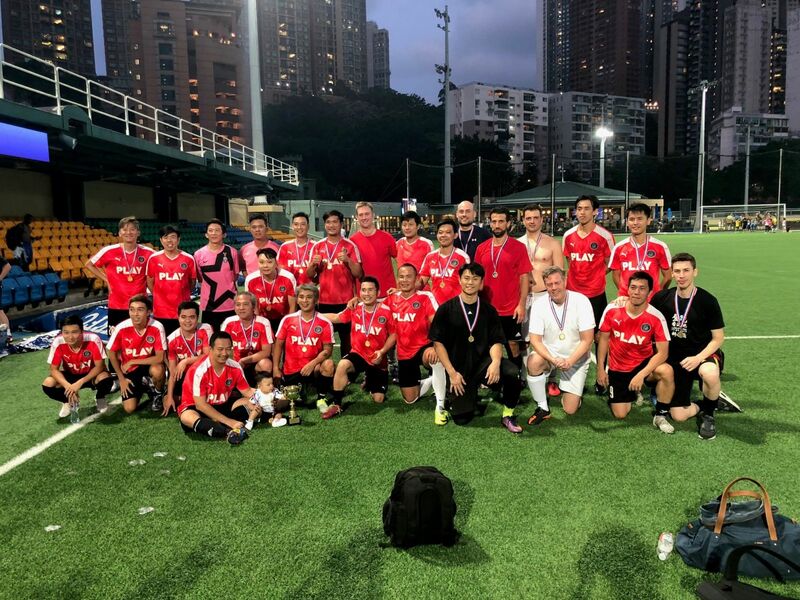 In the plate competition Classmates FC decided to bring an army of 20 odd players to play in a 7a side competition to take out the Plate title. 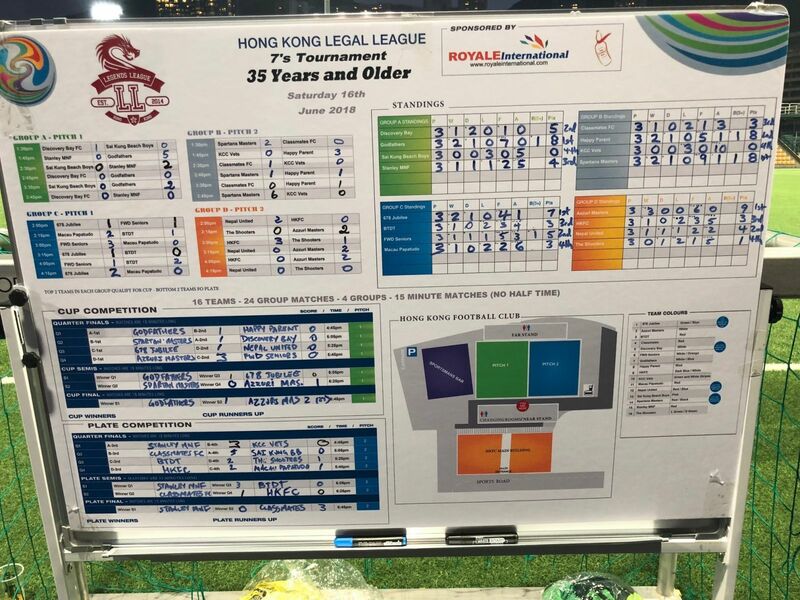 This obviously didn’t please a number of other sides as it was against the spirit of the competition as the rules stated clearly only 12 players should play at any one given time with the allowance of only one extra player if needed. In the end Classmates beat Stanley MNF who had the bare 7 players 3-0 in the plate final. Presentation Night takes place this Friday Night 29th June at 7:30pm at the Canny Man Bar in Lochart Road. All managers, players and supporters are welcome to attend each team getting two free tickets to the event. 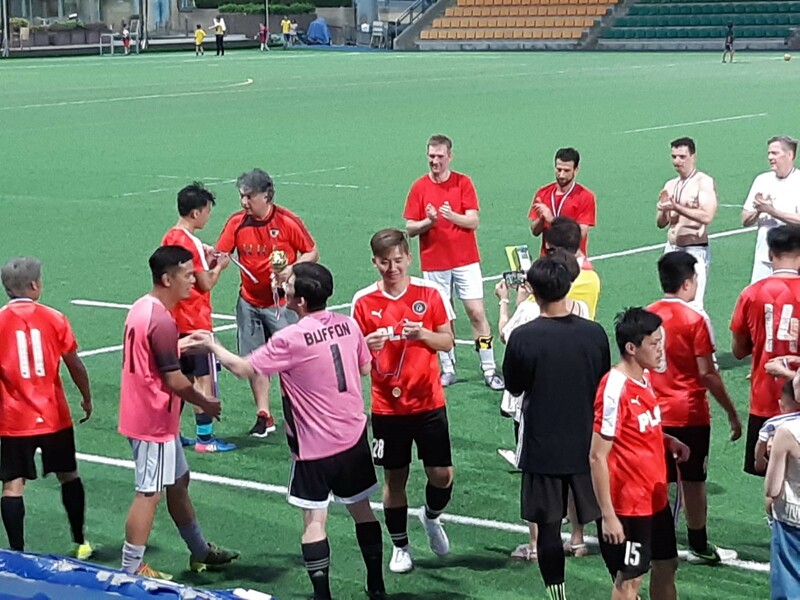 A massive thank you to the Hong Kong Football Club and all their staff for their help as well as allowing us to host the tournament at their wonderful pitch and facilities.